Learn to surf surfing lessons Northern Beaches Sydney Australia, surf school Sydney, private lessons, group surf school classes Dee Why, kids , adults, backpackers, Surfing NSW qualified. Surf Skool Teens program is a funky and “Kool” way to introduce teens into the surfing culture and it incorporates elements of surf lingo, correct surf etiquette as well as surfing fundamentals, design & use of surf equipment, beach & weather patterns, safety in the surf, and fitness preparation. 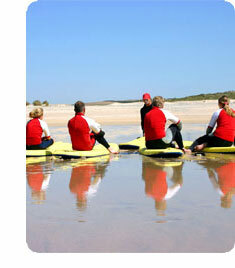 Our Teen’s program is aimed at getting teens surfing from a true surfer base. A course prerequisite is that participants are able to swim a minimum of 50 meters unassisted. Our experienced coaching team carefully selects and marks out a safe surfing zone, identifies any potential hazards on the day, and shows the participants safe and effective ways to navigate an array of potential situations in the surf. Classes are designed for beginner or first time surfers but advanced lessons can be booked on request. It can be done as a 4 day block or in weekend sessions.